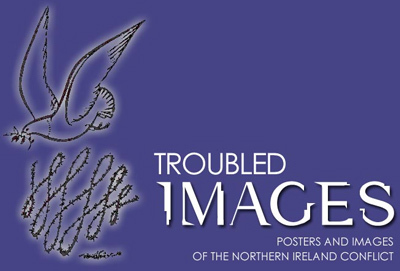 In collaboration with the Linen Hall Library in Belfast, Ireland, Meridian International Center presented Troubled Images: Posters and Images of the Northern Ireland Conflict. The library is a unique repository for the Northern Ireland Political Collection, which contains more than a quarter of a million items—books, documents, cards, pamphlets, photographs, and more—relevant to the thirty-year conflict and the ongoing peace process. Seventy posters from 1969-2003 were drawn from this collection for this exhibition to reflect the emotions and hopes of a deeply divided society in conflict. This exhibition was part of the Troubled Images Project which won the Christopher Ewart Biggs Literary Prize for 2003. This award is given once a year to individuals and/or organizations that promote peace and reconciliation in Ireland, a greater understanding between the peoples of Britain and Ireland, or closer cooperation between partners of the European community. Please visit the exhibition website to learn more.